Due to the change in insurance, and my doctor not having a genal type test for me, I haven't received my infusion since January 10th. That dose was covered by my last insurance, thankfully. I was told there wasn't enough proof that I needed VPriv, so Blue Cross Blue Shield denied my VPriv. My options were to have my old doctor send over my medical records or retake the test. I'm currently waiting for a call back to see if any of my old doctors have record of this test. Shire approved my application to get drug free for 1 or 2 doses while this insurance mess gets straightened out. In the mean time, my random pains are getting worse with each passing day. I can't help but think, what if I were Diabetic needing insulin? Would they seriously allow me to die because they didn't have one document? If my doctor writes me a prescription for a drug, there is a reason I need it. It's NONE of the insurance company's business why I need it. I understand Vpriv is about $15,000 per dose. Why would a doctor prescribe a $15,000 per dose drug if I didn't need it? My lower back pain is horrendous. I don't know how to solve that issue. I'm taking Aleve, even though I'm not supposed to. The burning, sharp pain in my upper thigh is especially bad today. The pain pulses are becoming more frequent and lasting longer. I don't know what to do about any of those pains. I'm grouchy, but that's probably because I'm in pain and in limbo because of insurance. I have no motivation and just want the pain to go away. I often feel bad for complaining about being in pain. I feel I have a very mild form of Gaucher's compared to other people with Type 1 whom I've read statuses from on Facebook. Those people claim fatigue and pain that I've never experienced. 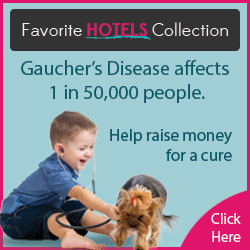 I don't even know if my pains are Gaucher related. I know I deserve to be angry and sad about my pain just as much as anyone else, so why do I feel guilty for it? My boyfriend and parents don't know how to help me. They can only be supportive and compassionate. I know they feel helpless and upset that they don't understand what I'm going through. I should reach out to some of the other Gaucher's "mutants" as my support group. We can get through this together.